A partnership is an unincorporated association of two or more individuals to carry on a business for profit. In practice, for legal, tax, and financial purposes, a wide variety of non-corporate entities and structures are used to operate businesses, to hold investments in real estate or in other entities, or to undertake discrete projects as partnerships (e.g. limited partnerships [LP], general partnerships [GP], limited liability partnerships [LLP]), and limited liability companies (LLC). Many small businesses, typically, including retail, service, and professional practitioners, are organized as partnerships as well. Basic practice questions persistently arise: “How are business partnerships accounted?”. And a specific questions regarding whether directly or by analogy, authoritative GAAP literature that applies to corporate structures is also applicable to investors in non-corporate entities. Through this post, I am going to discuss basic of partnership accounting to address its basic issue: How to account partnerships, assets contribution in partnership, its income allocations, changes in partnerships, withdrawals [retirements] of a partner, liquidation of a partnership, until construction of the statement of partner’s capital. This post should be worth reading for the accounting students in intermediate level, and practitioners who are looking for refreshers in the respective topic. Expanding it by researching for the most recent authoritative GAAP literature [e.g. the GAAP Codification] would make it even more beneficial, sure. I am in the plan for it. Meanwhile, enjoy the basic! A business partnership agreement may be oral or written. However, to avoid misunderstandings, the partnership agreement should be in writing. The agreement should identify the partners; their respective business-related duties and responsibilities; how income will be shared; the criteria for additional investments and withdrawals; and the guidelines for adding partners, the withdrawal of a partner, and liquidation of the partnership. For income tax purposes, the partnership files an information return only. Each partner shares in the net income or loss of the partnership and includes this amount on his/her own tax return. Limited Life – The life of a partnership may be established as a certain number of years by the agreement. If no such agreement is made, the death, inability to carry out specific responsibilities, bankruptcy, or the desire of a partner to withdraw automatically terminates the partnership. Every time a partner withdraws or is added, a new partnership agreement is required if the business will continue to operate as a partnership. With proper provisions, the partnership’s business may continue and the termination or withdrawal of the partnership will be a documentation isLauw that does not impact ongoing operations of the partnership. Mutual Agency – In a partnership, the partners are agents for the partnership. As such, one partner may legally bind the partnership to a contract or agreement that appears to be in line with the partnership’s operations. As most partnerships create unlimited liability for its partners, it is important to know something about potential partners before beginning a partnership. Although partners may limit a partner’s ability to enter into contracts on the company’s behalf, this limit only applies if the third party entering into the contract is aware of the limitation. It is the partner’s responsibility to notify third parties that a particular partner is limited in his or her ability to enter into contracts. Unlimited Liability – Partners may be called on to use their personal assets to satisfy partnership debts when the partnership cannot meet its obligations. If one partner does not have sufficient assets to meet his/her share of the partnership’s debt, the other partners can be held individually liable by the creditor requiring payment. A partnership in which all partners are individually liable is called a general partnership. A limited partnership has two classes of partners and is often used when investors will not be actively involved in the business and do not want to risk their personal assets. A limited partnership must include at least one general partner who maintains unlimited liability. The liability of other partners is limited to the amount of their investments. Therefore, they are called limited partners. A limited partnership usually has LLP in its name. 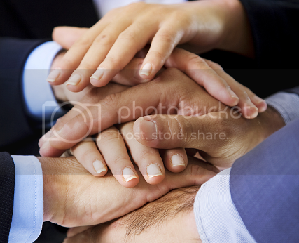 Ease of Formation – Other than registration of the business, a partnership has few requirements to be formed. Transfer of Ownership – Although it is relatively easy to dissolve a partnership, the transfer of ownership, whether to a new or existing partner, requires approval of the remaining partners. Management Structure and Operations – In most partnerships, the partners are involved in operating the business. Their regular involvement makes critical decisions easier as formal meetings are not required to get approval before action can be taken. If the partners agree on a change in strategy or structure, or approve a purchase of needed equipment, no additional approvals are needed. Relative Lack of Regulation – Most governmental regulations and reporting requirements are written for corporations. Although the number of sole proprietors and partnerships exceeds the number of corporations, the level of sales and profits generated by corporations are much greater. Number of Partners – The informality of decision making in a partnership tends to work well with a small number of partners. Having a large number of partners, particularly if all are involved in operating the business, can make decisions much more difficult. Except for the number of partners’ equity accounts, accounting for a partnership is the same as accounting for a sole proprietor. Each partner has a separate capital account for investments and his/her share of net income or loss, and a separate withdrawal account. A withdrawal account is used to track the amount taken from the business for personal use. The net income or loss is added to the capital accounts in the closing process. The withdrawal account is also closed to the capital account in the closing process. When a partnership is formed or a partner is added and contributes assets other than cash, the partnership establishes the net realizable or fair market value for the assets. Assume the Lie Partners company adds a partner who contributes accounts receivable and equipment from an existing business, the partnership evaluates the collectibility of the accounts receivable and records them at their net realizable value. An existing valuation reserve account (usually called “allowance for doubtful accounts“) would not be transferred to the partnership as the partnership would establish its own reserve account. Similarly, any existing accumulated depreciation accounts are not assumed by the partnership. The partnership establishes and records the equipment at its current fair market value and then begins depreciating the equipment over its useful life to the partnership.